Paper Refiner System Double Disc Refiner is mainly used as a coarse and fine grinding continuous beating equipment for the pulping system of the paper industry, and can also be used as a high-efficiency disintegration equipment for pulp re-grinding and waste paper recycling pulp. What Is The Core Component Of The Double Disc Refiner? Beating mill, which is the main part of Paper Refiner System Double Disc Refiner, the pulp that through cooking or mechanical refining, screening and bleaching can’t be used directly for papermaking, because the fiber in the pulp lacks the necessary flexibility, the bonding force between the fiber and the fiber is not ideal. If it is used for papermaking, the paper will be loose, porous, and low in strength, which can’t meet requirements. The mill is the “heart” of the refiner, which directly produces shearing, crushing, stretching, friction and other forces on the pulp fiber to change the fiber morphology and meet the adaptability of the papermaking. We can offer different type of Paper Refiner System Double Disc Refiner, if you have interested in this machine, please contact with us. 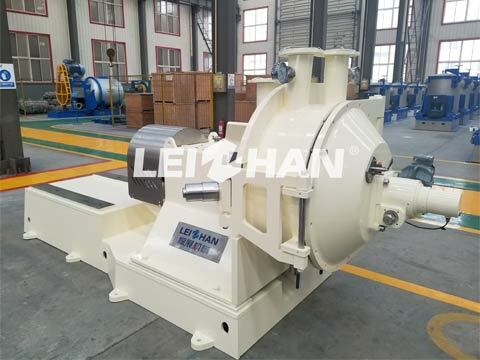 email address: leizhanpulper@gmail.com.